What is “Indie?” | Robert Mitchell Jr. I was recently accused of not being “indie.” I could not have been more surprised and taken aback. It felt like that earthquake a couple years back. After thirty seconds of “What the hell is going on?” I finally figured out the earth was moving. Looking back, I feel stupid for letting that punk put me on the defensive and for giving a damn. And I still wonder what it is about me that makes him think I’m not indie. Am I not indie because I actually want to people to buy and read my stuff? Because I respect my audience, consider them customers, and want to someday support myself by writing books? Is it because I have an eBook in the top 20 at Barnes and Noble? Or is it because I don’t wear deep-vee t-shirts or sleep in my parents’ basement? Am I too old or too cheerful? Too suburban? As long as I’m writing what I want, saying what I want, and doing what I want, Mr. Indie Purist can call me whatever he likes. Hell, he can call me Popeye Descartes. I think therefore I yam what I yam. 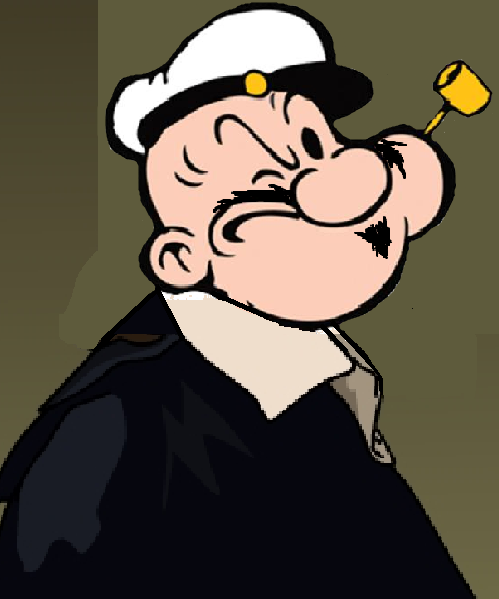 This entry was posted in Writing and tagged descartes, indie, popeye. Bookmark the permalink. ah, the ‘indie’ culture…probably propagated by hipsters and bands everywhere. while i admit i do quite like the idea of doing whatever i want and not giving a damn about money or readers or anything apart from what i want to do in a career, it must be pretty hard to eke out a living that way. I think you can do what you want in your career — except alienate others. Not only is it bad for your soul, it’s bad for business! It’s sad when people think you have to be sloppy and insouciant to be indie. Thanks for stopping by! The last time I heard “indie” was an auto racing term. Learned something new here. Did that guy ever think a person could, raise a family, take care of an elderly parent, and hold a full time job…and also write? He should think about it sometime. Keep on writing, Mitcchell! Pingback: What I Learned from the U2 Debacle | Robert Mitchell Jr.